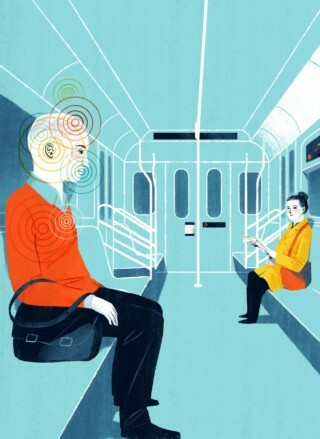 I was reading a recently published article in the New Yorker, by Jerome Groopman, about those who hear voices. The article questions why some people hear voices, and when such voices might become a problem. I found the article interesting. The article builds upon the concept of self-talk and the fact that most of us talk to ourselves, some more subtly, and others more intensely. In our thoughts, we are talking to someone, either to our spouses, our bosses, our friends, or even God. Some of us clearly hear the other party talk back to us, leading us to maintain a dialogue. And that is when the rest of us become suspicious! The question that continues to be debated is whether one could consider unusual thoughts, or hearing voices pathological. If you went to a psychiatrist today and said you were hearing voices, before you could take your coat off, the psychiatrist would be writing a prescription for a psychiatric drug to silence the voices. Without hesitation, biological psychiatry, considers many biblical experiences of prophetic visions or inspirations pathological. After all, they claim, a “normal” brain cannot function that way. But is that true? What is “normal”? John Mirowsky, of the University of Illinois, explains that psychotic symptoms are exaggerations and distortions of normal functions. He conducted a study on 463 people in El Paso, Texas, to evaluate their thought processes. He found out that most people in the community had experiences that might be deemed symptoms of “schizophrenia,” yet none of these individuals were ever diagnosed as mentally ill.
One of the key points of debate is whether the voices are from within or without. Many have a hard time believing that any forces from outside could talk to us, so they conclude that it is all in one’s head and a byproduct of inner speech. I believe in the spiritual realm, because God is Spirit (John 4:24). We are all under positive and negative spiritual influences. The topic is vast and complex to be addressed in this space. I have tackled the subject in great depth in my book. Moreover, with my own eyes I have witnessed phenomena in my own journey with my daughter’s madness that are not explicable by science. At least not yet! The medical psychiatry refers to the phenomenon of voice-hearing as “auditory hallucinations.” I know many people who hear voices, find that term offensive, because it invalidates their reality. Who has given us the right to invalidate someone else’s experience and label it as false? Could it be that the rest of us are lacking the ability to experience similar phenomenon? The history, both inside the bible and outside, is filled with people who lived with hearing voices–some Divine, some demonic, and a wide range in between. Remarkably, Fernyhough, too, is hesitant to call such voices hallucinations. He considers the term “hallucination” as pejorative, and he is notably skeptical about the value of psychiatric labeling in the personal and intimate experience of voice-hearing. He opposes diagnosing the biblical visual and auditory revelations as a neurological breakdown and is reluctant to automatically pathologize similar experiences in the modern era. As strongly as I am opposed to labeling these experiences through psychiatric classification, I also advise against the church jumping into conclusion that voice hearing must be a sign of demonic possession. It is imperative for the church to be humble and discerning and not make judgments hastily in this regard. There is a lot happening in voice hearing. Some voices are persecutory, and some are quite encouraging and transformative. It is my experience and conviction that in psychosis there is deeper meaning to be discovered than meets the naked eye. Is evil present in some psychotic episodes and voice hearing encounters? Yes, there is! But even in those cases, the act of exorcism cannot be trusted to anyone who claims to be a good Christian or believes to have the gift of exorcism. Many people have been damaged by these processes. It takes such a strong spiritual discernment, purity of soul, humility, solid holiness, pure faith, selfless love, and deep devotion to Christ to enter into such spiritual battles, that I venture to say not many will qualify for it. Moreover, according to the research conducted by Professor Oesterreich of The University of Tubingen, when the idea of possession is entertained, it influences the person and occasions the possibility of demonic influences. He believes that the “appearance of possession,” is “always” associated with “the belief in the devil.” He considers that the belief itself—by means of “autosuggestion”—actually cultivates possession and sustains it. I encourage you to beware! Voice hearing is a rich experience, laden with deep revelatory content. Attend to it with love, care, and a sense of awe! John Mirowsky, “Subjective Boundaries and Combinations in Psychiatric Diagnosis.” The Journal of Mind and Behavior 11, no. 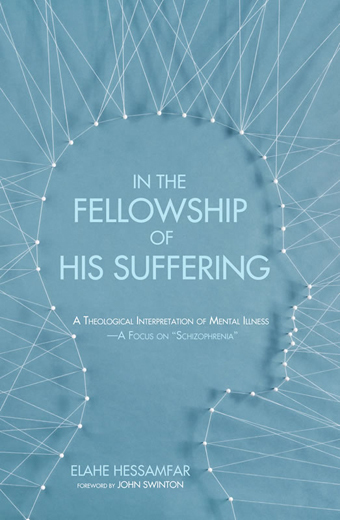 3 and 4 (Summer and Autumn 1990, 1990): 407  –424  cited in Elahe Hessamfar, In The fellowship of His Suffering: A Theological Interpretation of Mental Illness—A Focus on “Schizophrenia” (Eugene, Oregon: CASCADE Books, 2014) 85- 86. Teresa of Avila, The Life of Saint Teresa of Avila by Herself (London; New York, N.Y., USA: Penguin Books; Viking Penguin, 1957) cited in Hessamfar, Fellowship of Suffering, 235. Traugott Constantin Oesterreich and Dora Ibberson, Possession, Demoniacal and Other, among Primitive Races, in Antiquity, the Middle Ages, and Modern Times. (Authorized Translation by D. Ibberson), (London: Kegan Paul & Co., 1930) cited in Hessamfar, Fellowship of Suffering, 227.